Ja-Young (Han Eun-Jung) lost her husband 3 years ago. 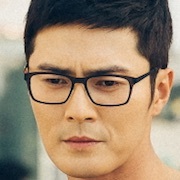 One day, Dong-Ha (Jo Dong-Hyuk) appears in front of Ja-Young and her daughter Yoo-Jin (Kong Ye-Ji). Ja-Young falls in love with Dong-Ha who is tender. She begins to dream of happy life with Dong-Ha. Meanwhile, Yoo-Jin feels lonely since her mother is always busy with work. She begins to have feelings for Dong-Ha. Filming took place from April 20, 2015 to May 28, 2015.